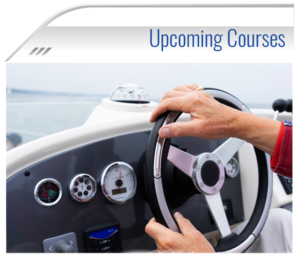 “My interest in the boating industry began in the late 1970’s. By the mid 1980’s, that interest had advanced into racing boats. To date, I have over 50 victories under my belt, including four National, and four World Championships. I have spent countless hours on balancing, setting up, and providing the research and development that goes into making a boat handle. It has always been my belief that the best balancing and handling of a boat makes it win, not the fastest speed. I have invested endless hours into the research and development of V-Hulls and Catamarans to provide better handling knowledge. I truly believe that I possess the proper knowledge to instruct boat owners on the proper and safe usage of their vessel. So many times, I step aboard a performance boat with a customer, only to find that they are not properly operating their hull. I decided to teach Performance Boating due to the fact that modern technology is creating rapid progression in hull speed.